HONT has been manufacturing and exporting plastic cable ties for over twenty years. It is a professional plastic zip ties manufacturer in China. What advantages do the zip ties have? We are very familiar with nylon zip ties. It is widely used in many industries. Now let me show the advantages of this little thing to you. Plastic zip tie manufacturers are manufacturing many kinds of ties for the users. These ties have the advantages of good resistance to acid and alkalis. Besides, they are good at resisting to corrosion. During the process of bundling, the nylon cable ties will lock by itself very quickly and fast. And it is also very convenient to use. So this kind of product is just what people are requiring on the market. Our cable ties have good performance in the resisting to the aging. They have long service life. They are difficult to be aging. Besides, the anti-aging ability, they also have very high tensile strength. Though they are very little and small in size, they are very strong. So they can make the articles very secure. These ties are made by the Nylon 66. They are one kind of plastic. Compared to the stainless steel cable ties, they are very cheap in the price. They have reduced much cost for the plastic zip tie manufacturers. What are the applications of the zip ties? Nylon cable tie is exactly the tool for bundling things. We can see it in our daily life. And many factories also use it. This kind of product have very extensive applications. They are used in the wiring accessories factories and some gift plants. The articles of everyday use, the packaging of some electrical machines and domestic accessories also need the ties. The reasons for the wide applications of the self-locking ties are they are not expensive, they are easy to use, and they are strong in the material. All in all, the zip tie is high in the use but cheap in the price. So they are so popular. In general, it can be used in below sides. 1. Used for the inner lines system in the electrical machines. Plastic zip tie manufacturers offer many cable ties. They can be applied in the fixing of the inner lines in the electrical machines. They can make the lines secure and fixed. Besides, the good insulation of the product can protect the machines. It is very safe to use. There will be no electrical leakage in the use of it. 2. Used for the fixing of the cables and wires. This product can be applied in the fixing of the cable systems. It is because the cable ties have a wide working temperature range in this field. It can tolerate high temperature and the low temperature. Besides, the ties won’t be aging after a long time using, the users don’t need to change the product after a period of use. Plastic cable ties are very widely used in the electrical system. At the same time, they are also very hot in the oil pipes. The children’s toys also need them to fasten the toys. There are many kinds material for the plastic zip tie manufactures to produce. The most used material is Nylon. Nylon also have many types and kinds. Different types have different quality. And the plastic cable ties also have different types in the material. In general, there are A Level and B Level. The A level nylon zip tie is following the International standard. And B Level plastic tie is not as good as the A Level. The material B Level tie use is less than A Level zip tie. The length of B level tie is shorter. And its width and thickness are all thinner. And compared with the A Level nylon cable tie, B Level is using a cheaper nylon material. It is because the A Level tie is high in the quality. It is usually regarded as the exporting type. And the domestic market seldom use A level plastic ties. When these A Level ties are exported to the foreign countries, they are packed for 100 pieces per bag. And sometimes the plastic zip tie manufacturers may design the labels as the customers request. Many customers in our own countries hope the cost for the material to be cheaper. In order to cater to the demands of them, some plastic cable tie suppliers will make the ties thinner to make the cost cheaper. This kind of thinner tie is the tie we called B Level zip ties. So the specifications of the nylon cable ties of A Level and B Level are different. If A level product is 2.5 x 100 mm, the specification of B Level will be 2.0 x 100 mm. How to choose superior cable ties? In our daily life, nylon cable ties are very common. We know it is very simple to use and carry. And it is very easy and important for us. So I think it is very important for use to know the ways to tell high quality and low quality cable ties. 1. The good ties must be good in the color and appearance. This method is very simple. We can tell the quality good or bad just by our eyes. Good ties have good colors. And it will be transparent. There is no black or some spot in the products. 2. The good ties must be use good raw material. As we all know, the best raw material for the plastic zip ties is Nylon 66. It is UL approved. This material has good performance in the tensile strength. And it has flame resistant grade of 94 V-2. Besides, its working temperature range is from -40°C to 120°C. It also has good insulation and resistance to aging, acid and corrosion. After knowing the raw material Nylon 66, we can check if the tie is using it. Usually, the plastic zip tie manufacturers will print the raw materials on the bag as the instruction for the ties. We find the material information on it. How to open the locked cable ties? Nylon cable ties have come into our daily life as one kind of bundling tool. It is so useful. But sometimes, we don’t know how to open it when we lock it by a mistake. Now let me bring some correct methods to open the self-locking zip ties. What we need to do is find a small tool. This tool must have one sharp corner. They can be the scissors, ear tools, and so on. We can first observe the tie carefully. It is not difficult to find a small tongue in the head of it. This small tongue is used for locking. When the body of the tie comes into the head, the tongue will bite it securely. That is how the self-locking tie work. Now we can use the sharp tool we prepare before. Press the small tongue by the sharp tool. Then pry it up with a small force. Last, you can get free wires or cables again. But the cable ties we pried maybe not good for use again. It is not designed as a releasable tie. It is self- locking tie. So when we pried the small tongue in the head of the tie, the tongue maybe also hurt by us. So the tie we spare some effort to open is not available to reuse. It is still waste. The best way for the mistaken locked plastic zip tie is to cut it by the scissors. Now I want to share some wrong methods to open ties. They are shared for warning. Hope you and me will not do like that. Someone will pull it with all his effort. But as we all know, this product is self locking one. It will only be more and more tight, but not loose. The result of pulling is a red mark on your hand. Remember that our plastic cable ties are impossible to pull to loose by our hands. Some other ways some friend is using to open the product is to make the ties through the fire. Some friends even bite by their own teeth. The way by fire is very dangerous. First, we know our zip ties are flame resistant. The small fire is useless to them. And the articles we are bundling may be in danger. And the fire may burn our houses. The method of using our won teeth is also very dangerous. The plastic cable ties have very high tensile strength and flexibility. The tie may not be opened. Your teeth may fall first. These methods are not suggested to use when we are going to open the mistaken locked plastic ties. They may have no function to the ties. But they may bring some big troubles for us. Nylon zip tie is a good helper for us. No matter you are at home, in the fields, in the factory, or you are in the shopping mall, it will always to help you in time. Someones may not agree with me. I think you may have never seen the good quality ties in your lifetime. Now let me introduce the best plastic zip tie manufacturer for you. It is HONT. The company was founded in the year of 1997. It has been doing the manufacturing of cable ties, cable clips, cable glands, wiring ducts and many wiring accessories for more than 20 years. The company was located in Liushi, Wenzhou, Zhejiang Province. Liushi, this small city is not small in the electrical contribution. It is called the high and low voltage appliances city in China. In addition, HONT is convenient in the location. It has beautiful Yandang Mount and it is near the port. The company is near the Wenzhou Air Port . And it is also near the two main shipping ports in China, Shanghai and Ningbo. Its factory area reaches to 45,000 square meters. And the company has over 680 workers who are devoting all their hearts and spirits to HONT. The company’s registration fund is RMB 51,000,000. The rich fund support is the guarantee of the quality. The company imported 88 large injection and molding machines. These machines are operated with computers. Besides, HONT has a lab. The lab is UL recognized. The researching and development department is using their skills to design and maintain the high quality level. Thanks to the researching and development department, HONT has designed a new patented zip ties for users. This new design are welcomed by all the customers and clients for the adding tensile strength. All the products are strictly through the testing center to keep the quality. The company are very responsible for the quality testing. It never sells the second level quality goods. It is always selling the best to its customers. HONT has got the certificate of ISO 9001, CE, UL, TUV, ROHS REACH, SGS and so on. Its quality and management system are recognized by the international systems. The company’s products are sold to many places and regions. They are very popular in the South Africa, the Middle Asia, the United States, and Europe. 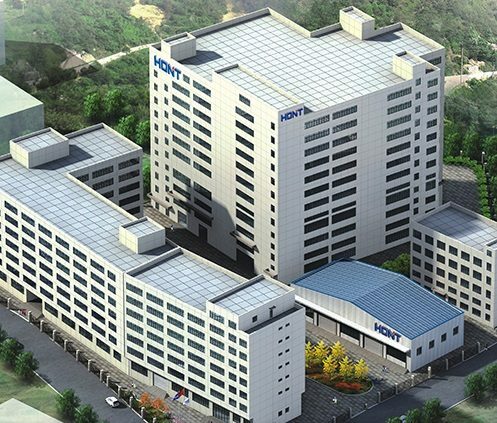 HONT has cooperated with many big companies, such as WALMART, HOME DEPOT, DORMAM, STANLEY, GB, KINGFISHER, CARREFOR, MENARD, RB and so on. Why can HONT achieve the trust from so many big international companies? It is because HONT is doing best in the quality and it has a reasonable price. The company is keeping the business principle of “Best Service, Best Quality, Centenary HONT, Continuance Business”. It is always to make the service, quality, and the management of production to be the key point of the working. The company is keeping its best state to make the superior products for its customers and clients, as the best plastic zip tie manufacture. Don’t hesitate to contact HONT. It is waiting to work with you together!